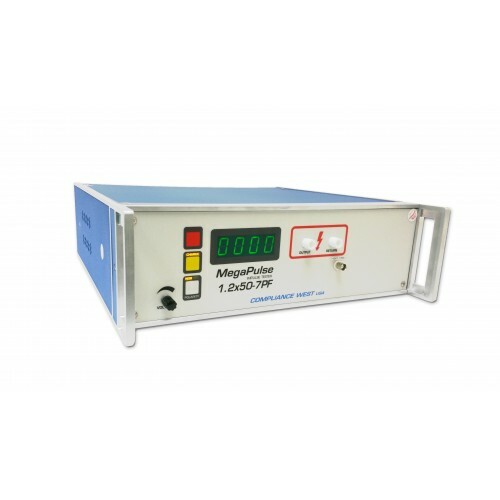 MegaPulse 1.2x50-7PF, bulk cap voltages of 2000-7000V, 1.2x50uSec Voltage Waveform, 39 ohm 1 chnl. Designed specifically for testing to IEC 60950 including the Australian Deviation. 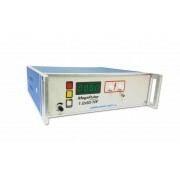 Includes self-regulating high-voltage power supply for more stable voltage control. Optional TestMinder PF computer control and 1000:1 Oscilloscope output (reference only). Option IER equips the tester with a switch compliant with IEC 60065, Fig. 7B. In accordance with the requirements of IEC 60950, IEC 62368-1 and ITU-T Standards, the meter reads the bulk capacitor voltage. The output voltage will be less (see Datasheet). Reference Waveform data in "Manuals" link below. Calibrated at bulk cap voltages of 2kV and 7kV only to reflect the test points of IEC 60950 and the Australian Deviation. ISO 17025 Calibration available. If peak waveform measurement and calibration from 400-7200V is required, see MegaPulse 1.2x50-7200P (links below). 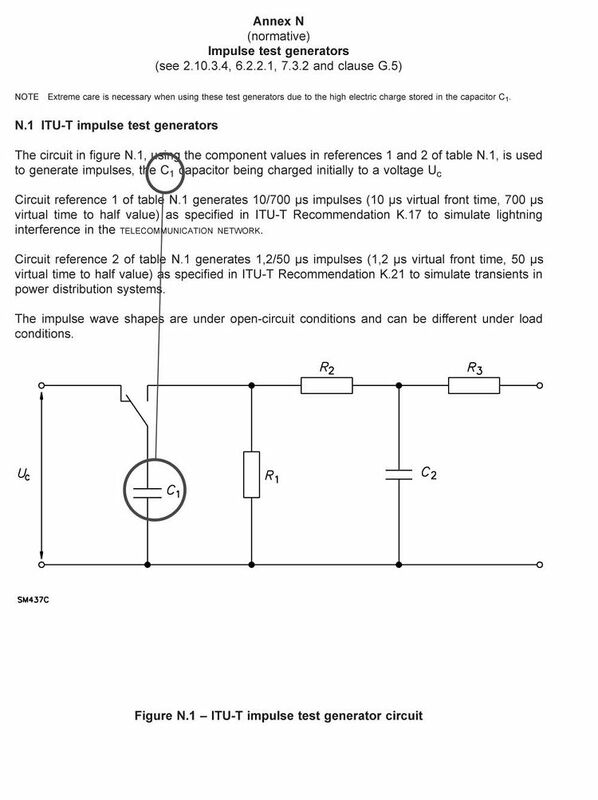 Built specifically for the Test described in IEC 60950, Annex N, Table N.1, Line 2. Charges the bulk capacitor to the required 2.5kV or 7kV (Australian Deviation), using the front panel knob or optionally via USB, see TMM-PF option. Discharge of the 6001V output pulse is controlled by the front panel TEST button or optionally via USB, see TMM-PF option. Meter reads the bulk capacitor voltage per the requirements of IEC 60950. Polarity can be changed by the front panel POLARITY button or optionally via USB, see TMM-PF option. Cables and NIST Calibration Certificate Included; A2LA Calibration optional. One year warranty and unlimited telephone support. MegaPulse 1.2x50-7PF MegaPulse 1.2x50-7PF For detailed specifications, see Datasheet Above. For detailed specifications, see Datasheet above.